Do you like to work on more than one writing project at once? Are you looking for a better way of organising your research and notes? What could you achieve with a writing tool for managing all of your blog posts? Scrivener is the answer to all of these questions. There is a modest learning curve to Scrivener, but don’t worry. In this post, I'll show how to use Scrivener for blogging. I also provide power user tips for writers and bloggers who are already familiar with Scrivener and want to get more from this writing app. Unlike Word or other word processors, Scrivener provides you with a single environment for managing your writing, research and notes. In this single environment, you can write, organise, edit and review almost any type of writing project. Then, you can turn your writing into whatever format you want such as PDFs, HTML files, eBooks and so on. I’ve used Scrivener to write a collection of short stories, a thesis, multiple non-fiction articles and a book. Today, I mostly use Scrivener as my primary tool for writing blog posts. The beauty of Scrivener is that you can customise how it looks and behaves. It saves your work every two seconds, and you can take snapshots of your work and revert to these earlier versions if you make a mistake. If you are a writer, you can live in Scrivener. A Scrivener file (.scriv) is called a project. Each Scrivener project is broken down into folders, sub-folders and files. For example, I have a Scrivener project for my book called A Handbook for the Productive Writer. This project consists of various folders, each of which is chapter. Each of these folders contains files that correspond to sections within each chapter. My Scrivener project file for this book also contains a research folder. This is where I placed notes for my book alongside photos, PDFs and clippings from various websites. Similarly, I have another Scrivener project for Become A Writer Today. Heavy users of word processor end up with hundreds if not thousands of files. If you use Scrivener often you’ll probably only use a few Scrivener projects as each project can handle complex and simple writing projects. There are three mains areas in Scrivener. These are the Binder, the Editor and the Inspector. The Scrivener Binder exists on the left-hand-side of your screen, and it houses the files and folders that make up the different parts of your writing project. Within this Binder, you can rearrange the files and folders (or sections and chapters) of your writing project by dragging and dropping them from one location to the next. You can also expand and collapse your folders, much like a traditional file system on a computer. If, for example, you want to move chapter two of a book ahead of chapter four, you can do this by dragging the file to the correct location in the Binder – anyone who has ever copied and pasted more than a 1,000 words in one go will appreciate this. You can also name and colour code your Scrivener files and folders and even use custom icons to visually identify them. It’s also possible to customise almost all of the menus within Scrivener so that it suits how you like to write. You can work on one file in the Editor or, using Scrivenings mode, you can select several files in the Binder and then view all of these in the Editor. If, for example, I want to work on chapters two through to five of a book, I can select these files in the Binder. Then in the Editor, I can see these chapters as one continuous document, with each chapter separated by a divider bar or dashed line. Alternatively, I can open two writing panes in the Editor and work on individual Scrivener files or chapters side-by-side. While blogging, I sometimes open up older blog posts and refer to them while writing new ones. Or if I receive feedback about a blog post, I open the feedback in one Editor pane and write in the other Editor pane. This is useful for making edits to one part of a longer work and for referencing another part of longer work at the same time. Scrivener includes two modes for focusing on writing. You can turn the Editor into a full-screen Composition mode. This removes the Binder and the Inspector and only presents a pane for writing. This is great for when you want to focus on writing in a distraction-free or minimalist writing environment. This mode is similar to popular minimalist writing apps like IA Writer, FocusWriter or even Byword. You can also maximise Scrivener by using full-screen mode. Unlike Composition mode, this does not hide the Binder or the Inspector. On the right-hand-side pane, Scrivener features an Inspector containing extra information about your work. A synopsis: this is a brief description of the contents of a file or folder (you can write this yourself or have Scrivener pre-populate it). Document notes: this is for recording generic ideas and information about your writing. References: this works much like the references section on a word processor, and you can link to other parts of your project, other files outside Scrivener or to websites. Annotations and comments: annotations live within your text, while comments exist outside your text. 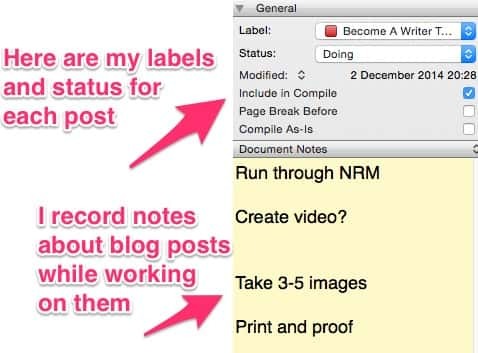 Labels and status: both are useful for organising and tracking your various writing projects (more on this later). Custom meta-data: if all of the above isn’t enough, you can create your own meta-data and apply it to your text. The Document Notes, Synopsis and References are the most useful parts of the Inspector. The other features are for advanced users and if you’re only learning Scrivener, they are not essential. Scrivener includes two features that can help you organise complicated writing projects: the Corkboard and the Outliner. Using either the Corkboard or the Outliner, you can select and view multiple files or folders and view them within the centre pane of Scrivener. The Corkboard presents each of your files and folders as index cards on a digital Corkboard. On these index cards, you can also view a synopsis and other custom information about your files. This is helpful if you’re visually orientated. Alternatively, the Outliner presents your project’s files and folders as a hierarchical list in the centre pane. On this list, you can view these files and folders in your project alongside any other relevant information such as labels, status and other custom meta-information. Should You Use Scrivener for Blogging? Manage complex writing projects in one place: what is a blog if not a series of smaller writing projects? Use the binder as an editorial calendar: the drag and drop nature of the binder means you can quickly rearrange your posts. Open your research and your current post and work on them side-by-side: this is easier than having two separate documents in a word processor open. Write in a distraction-free environment: this is helpful when you just need to focus on writing. Set a target word count for each file: this is great if you want to increase your productivity or work towards a goal. 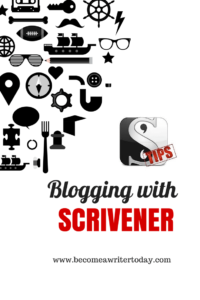 Scrivener works best for blogging if you use it to plan, write and edit all of your posts. Then when you write and edit a post, move the final version from Scrivener into WordPress. This month’s posts: This contains 8-10 files, each of which is a blog post. Because I can drag and drop files between folders, I can see all the posts I’m working on. I can also drag-and-drop these posts from one month to the next. In this folder, I also keep a file called leftovers. Here, I paste scraps from other blog posts. This is helpful because even if material isn’t good enough for one post, it may help me write another blog post later on. Future blog posts: This folder contains sub-folders corresponding to each month of the year. In these sub-folders, I place ideas for future blog posts. I know other bloggers who use Scrivener for blogging and keep their posts in folders that correspond to relevant post categories e.g. Technology, creativity. Archive: When I’ve published a blog post, I move the file into this folder. This is also where old blog posts go to die. Blogging journal: Once a week, I write a short entry in my blogging journal about what I did, what I wrote, what I got wrong and what worked. This keeps me on track. Book: Earlier this year, I published a book. I keep excerpts in this book within this folder for referencing. 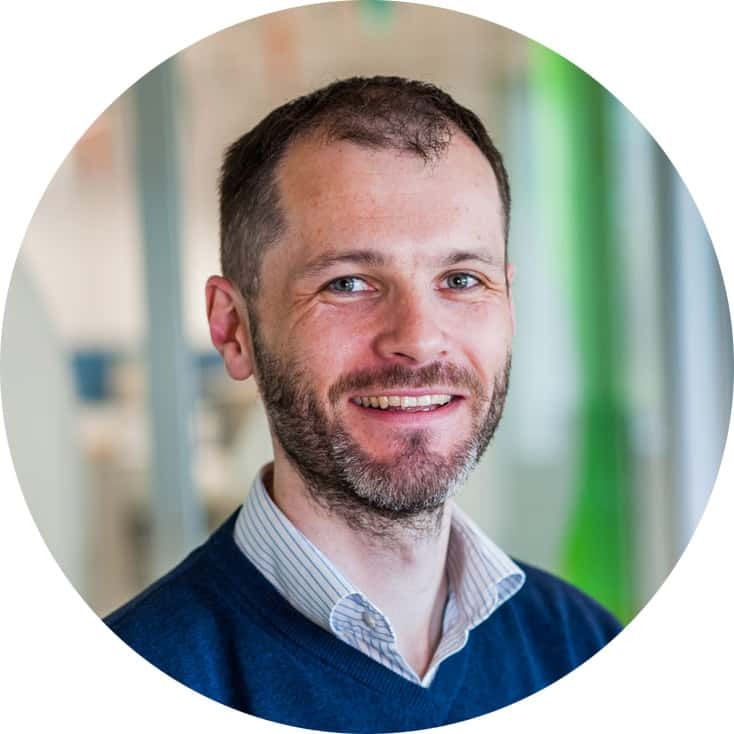 Guest blogging posts: Guest posting is a great way of find new audiences, and I spend as much time doing this as I do writing posts for my blog Become A Writer Today. I keep these guest posts in this folder. I also keep copies of my pitches for each guest post in this folder. Marketing: I’m a member of a blogging programme, and as part of that programme, I spent time writing about my ideal reader (if you made it this far), that’s you! In here, I keep notes about my ideal reader and how I can help them/you. Course: I’m currently researching a course I’d like to run at some point. Members of the Become A Writer Today Insider list also regularly tell me what they need help with. I keep notes about these questions here. 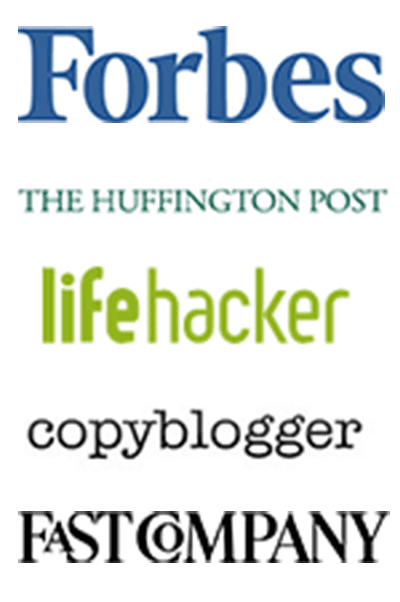 Affiliates: Occasionally, I recommend tools and services that can help other online writers. I keep details of these affiliate links in this folder. This means I can find these links easily and drop them into a blog post that I’m working on. Video scripts: I make notes about what to include in video and audio recordings here. Ideas and Notes: I mostly use Evernote for organising my ideas and notes. However, Scrivener supports multimedia content and occasionally I paste PDFs, pictures and other notes here. I also know many fictions-writers who place images of scenes they are writing about in this folder. Scrivener includes a powerful Compile tool for turning your writing into a PDF, HTML, .DOC or almost any other common file format. Lots of self-published authors love Scrivener because it enables them to create various eBook formats for online stores like Amazon, Google Play and Kobo. I use this Compile tool when I need to create PDFs, Word files and other digital file formats. You can also use the Compile tool to create a HTML file and paste it into WordPress. Alternatively, you can copy the text from Scrivener, paste this into WordPress and then lay it out. This section is purely for Scrivener power users. paste it directly into WordPress. The free Jetpack plugin for WordPress recognises Markdown and renders it as HTML. This means I don’t have to spend much time laying out my posts in WordPress. This method of working saves me dozens of hours each month writing HTML and formatting my blog posts for the web. The only downside to using Markdown is that Scrivener doesn’t have a live previewer built in. However, Marked2 is a popular Markdown previewer for OS X that renders Markdown into HTML as you type. Using this app alongside Scrivener, you can write in Markdown on one side of the screen and view what your document looks like on the other side of your screen. Markdown is a way of writing HTML using plain text. It sounds complex, but it only takes an hour to learn. These are some of the more common Markdown syntax. If you want to learn more about Markdown, you can find the full syntax on Daring Fireball. If you write lots of blog posts, Scrivener can help you keep track of them. On the right-hand side of Scrivener, you can set labels, the status and custom-meta data for each file. These make it easier to sort and review complicated writing projects. Take guest posting, for example. The big challenge with guest blogging is that it can take several weeks for a big blog to publish a guest post. And many of these blogs require a rewrite before they’ll publish a post. Call me impatient, but I write two posts a week, and it can be difficult to track of the status of these guest posts if I submitted them several weeks ago. So, I created two colour-coded labels in Scrivener to make this process easier: Become A Writer Today and Guest Posts. This helps me visually identify the destination for each of my posts using Scrivener’s Corkboard and Outliner. I also use the Scrivener Status feature to keep track of my posts. I created. I use three status types: To Do, Doing and Done. Again, this means I can see the status of all my blog posts at once by using the Corkboard or the Outliner. Once a week, I make a point to review all my posts for the month and all my guest posts. During this review, I update their status, move them to another folder (if relevant) or transfer them to WordPress for publication. You can create whatever labels, status types and custom meta-data you like. Or you can ignore them altogether. These are advanced Scrivener features that support how I like to work. Remember, they’re not necessary to get the most out of Scrivener as a blogging tool. Scrivener is a powerful writing tool taking charge of your projects. Tweet this. It’s not a replacement for sitting down and doing your work, but it can help you become more productive. I’ve only covered a portion of how Scrivener can help you write. You can also use Scrivener in different ways to write a book, a research project, a screenplay and lots more. In this post, I’ve focused on Scrivener as a blogging tool blog because I know many writers who could benefit from using Scrivener more. If you have questions about Scrivener for blogging or for writing, please let me know in the comments section below. Gwen also runs Scrivener courses that will teach you the basics and beyond. Learn Scrivener Fast with Joseph Michael: this high-quality course comes recommended by top blogger Michael Hyatt amongst others. My method of using Scrivener for blogging is a variation on the system that noted bloggers like Michael Hyatt and Thaddeus Hunt use. I also wrote a detailed guide that will help you start a blog in 2018. This is great, Bryan. 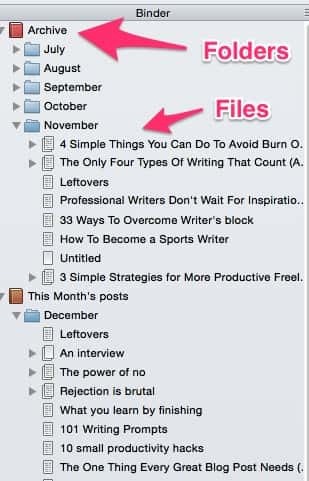 I already use Scrivener for blogging, but you gave me some new ideas for better organizing things. I do have one question – and keep in mind that I’m not computer savvy at all: I tend to do things simply, and so I merely copy and paste my post from Scrivener and paste it into WP. The biggest frustration is that none of the italics, bold, etc. copy into WP, so I have to go back through the whole post and redo all of those. (Yes, I know – and I’ve been doing this for a year!) Is that where the Compile tool you mention comes in? I see that under File – so do I just click on that and I’m good to go? Thanks again for this post! Love Scrivener! Good to hear you find Scrivener useful. 1) Use the compile tool, create a HTML version and then paste that into WordPress. This tool will also let you create other formats like .DOC. Markdown takes half an hour to learn. It’s easy too. If you write online content, it’s well worth it. Great, thanks, Bryan. I see where to do that now. So IF I use the compile tool and paste an HTML version into WP, can you still edit it in WP? Or do you need to make sure that’s it? Try compiling your Scrivener file as a .DOC file. Then, open the .DOC file with Word and copy the contents into the WordPress editor. It should keep most of the formatting. If you compile it as a HTML file, there may be some extra code to delete. Format your file in Scrivener to look exactly the way you want. If you’re going to use Scrivener for blogging, using Markdown will make this easier for you. Great, I hope it works for you. Great post and ideas, thanks for sharing and plan to put the template to use. One question – how do you use Marked for previewing your document when it previews everything in your project? In other words, how do you isolate Marked to just the big post you’re working on? Great, that explains it well – many thanks. Pingback: Hur kan Scrivener underlätta för bloggare? 1) Re Scrivener, I see that you have two projects (Archives and This Month’s Posts) on the go under one binder. How did you do this please? When I asked Scrivener, I was told I could only have the one project and to create folders within. I’m trying to run 2 projects simultaneously, one for my novel, the second for my new blog. Currently, I have them both in ONE project which is frustrating. 2) I don’t have a domain yet for my blog. Is WordPress the way to go? Quite pricey, $200 for a basic package. 1) A Scrivener file is called a “project”. Each file or project can have multiple folders. My ‘Archive’ and ‘This Month’s posts’ are just folders. You can create a new Scrivener Project via the File menu. You can create a new Scrivener folder via the Project menu. I’d recommend having a separate Scrivener file or project for your novel. 2) Yes USD200 isn’t the cheapest hosting package out there, but they provide great support for WordPress sites and some additional security features. If you want something cheaper, Bluehost are supposed to be good. Whatever host you decide on, make sure you use WordPress. I’m curious. What output formats will Scrivener save in? Scrivener exports to almost all of the above. I’m not sure about azw3 though or the HTML version though. I will check. Hi Bryan – I just read your post about Scrivener. Really interesting and I appreciate all of the info you give. One question: How is the spelling/grammar checker? Word’s grammar checker is so bad, but I sometimes think that Grammarly is overkill. Tools are great but they are only as great as the writer who uses them. I still think it’s important to proofread your work or hire someone to do it. I like Grammarly and recommend it as it catches more errors than the built-in checker in Word etc. They also offer a free trial. Thank you for your excellent article. I decided after reading it to buy Scrivener and I downloaded your template (a huge thank you) ! Right now, I’m still in testing phase and I find your advice really useful to use Scrivener for blogging. Great, Scrivener is one of my favourite writing apps. I hope it works out for you. Wow…what a wealth of information! Thanks so much. Hi Bryan, this was so helpful! I’ve been using Scrivener for blogging for only a short time and this will really help me use more functionality of the program. Thanks so much! Great, Scrivener is an ideal tool for writers. Thank you! Your template has been so helpful. I’m a Scrivener newbie, but loving your clear, concise suggestions. Many thanks! This is so helpful! Thank you for the video, it is just what I was looking for. I was wondering if there was a way to get the template? When I click on the link nothing is happening. Thank you again! Can you send me an email and I will send it to you? The opt in should be working now though. Have imported your template into scrivener and cannot fathom how to load it? Just open it up like a normal Scrivener file. Send me an email if you are still stuck. Really like you content… one problem, you overlay for Pinterest, Facebook, Twitter, etc… sits on the left side when viewing on a tablet, covering some of the text. I’ll take a look, thanks for letting me know. I tried the link to obtain your blogging template, but when I click on the button nothing appears to happen. Any tips you can give to get it work are appreciated.